The English Inn Restaurant & Pub serves some of the finest food in the Lansing area and in the most lush and beautiful setting you can imagine: historic Medovue Estate. A 1920’s, Tudor Revival manse on 15 acres overlooking the Grand River with no expenses spared: manicured grounds with both annual and perennial gardens, an artesian well, swimming pool, fishpond, and nature trails. Inside you will find grand statements in marble, slate, and Honduran mahogany. Words do not suffice to describe the grandeur and romance inherent in the building’s classic lines. And dinner? For Valentine’s Day we pull out all the stops with a specially priced, four-course meal that includes your choice of appetizer, salad, entree, and dessert. Be sure to look over The English Inn Restaurant & Pub menu to get an idea of just how delicious dining at The English Inn, Restaurant & Pub can be! If it’s a stay at our Eaton Rapids bed and breakfast inn you’re contemplating, we’re preparing a special Valentine’s Lodging Package for Thursday the 12th through Sunday the 15th of February, 2015 that will go a long way towards making your stay with us just that much better – including a special exclusive to Saturday, Valentine’s Day, that dinner for two in our restaurant with your room rate! Surprise that special someone with a delectable assortment of cheeses and accompaniments awaiting you in your room along with a chilled bottle of Tosti Asti sparkling wine and two flutes for the sharing. You and your heart’s companion will be delighted to find a bottle of Belleruche Grenache Syrah blend along with four Ferrero Rocher hazelnut chocolates. A perfectly romantic pairing – better not forget to hang that do not disturb sign on the door! 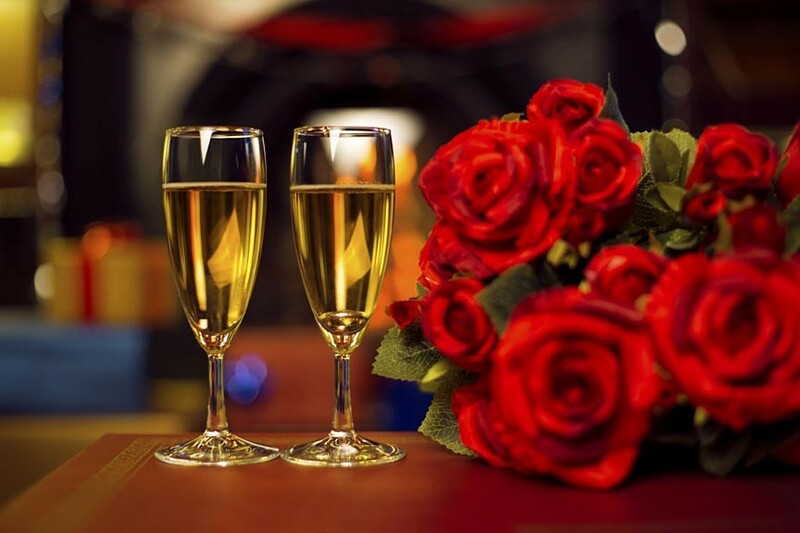 Whichever you choose – a romantic dinner or a romantic getaway – The English Inn Restaurant & Pub is the perfect venue for your Lansing Valentine’s Day rendezvous. Call now or book online before we fill up!